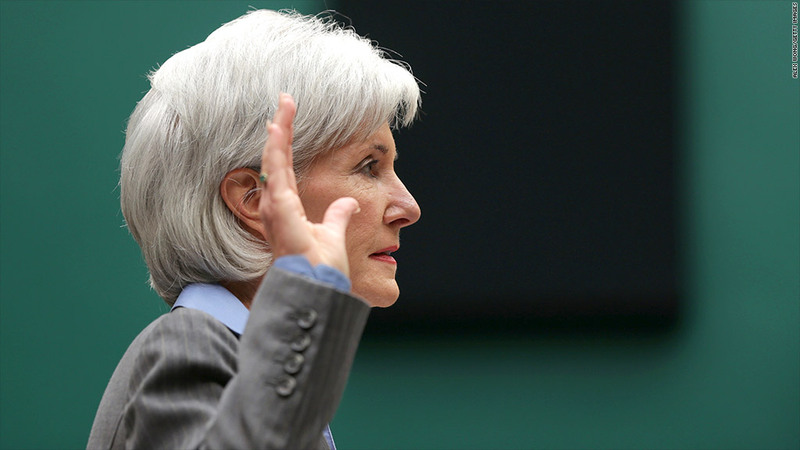 "Hold me accountable for the debacle," Health Secretary Kathleen Sebelius said Wednesday at a congressional hearing. A computer problem that crashed the Obamacare website overnight was only partially resolved Wednesday, blocking users of the federal insurance site from logging in and submitting new applications. "The system is still down," read a banner on HealthCare.gov. An official with the Centers for Medicare and Medicaid Services said that work on the site would continue overnight on Wednesday. Services were back online -- but working slowly -- for the 14 states and the District of Columbia that operate their own sites. They rely on a federal data hub, also used by the federal site, to verify applicants' income, citizenship and eligibility. The outage stretched on as Health Secretary Kathleen Sebelius was grilled over the site issues by members of a House committee. The latest crash began Tuesday. The site crashed while Terremark, a Verizon subsidiary contracted to provide technology behind the site, was attempting to fix issues that caused the site to crash on Sunday, said Julie Bataille, a spokeswoman for the government agency overseeing the site. The crashes appear related but the root cause has not yet been determined, she said. Verizon said federal officials asked the company to provide additional computing and storage ability. Spokesman Jeffrey Nelson said Tuesday the work would be completed overnight. Bataille, the federal spokeswoman, said the technology was working, but slow, for state-based websites at 5 a.m. Wednesday. Connecticut first reported the outage around 7:30 p.m. Tuesday and said it was preventing users from completing the full registration process. At the hearing, Sebelius said tech teams regularly update the site's code overnight and changes are tested at the time it goes online. Pieces of the site were built separately by different contractors. She said the pieces work independently, but did not work together when plugged into the larger system. "Clearly, the testing should have been longer, should have been more sufficient," she allowed. Mike Rogers, a Republican lawmaker, said the government's standards for testing and information security would not fly in the business world. "Amazon would never do this. Pro Flowers would never do this. Kayak would never do this. This is completely an unacceptable level of security," he said. The Sunday outage left customers unable to apply for coverage and traced back to Verizon, officials said. The snafu affected the federally-run HealthCare.gov and more a dozen state-run sites. Since going live on Oct. 1, major issues with HealthCare.gov have prevented people from registering and applying for coverage. --CNN's Caleb Hellerman contributed to this article.